The Ark Encounter, a full-scale, 510-foot long model of Noah's Ark, has opened to the public in Grant County, Kentucky. It is the largest timber frame structure in the United States and the largest free-standing timber frame structure in the world. Is it merely coincidence that Jesus said His return would be at a time like the days of Noah? What a fitting reminder of both the previous worldwide global calamity and the words of Jesus found in Matthew 24:37 and Luke 17:26. The final warning. After the original ark opened there were 7 days before the rains came. A constant reminder that our salvation is much closer than when we first believed. 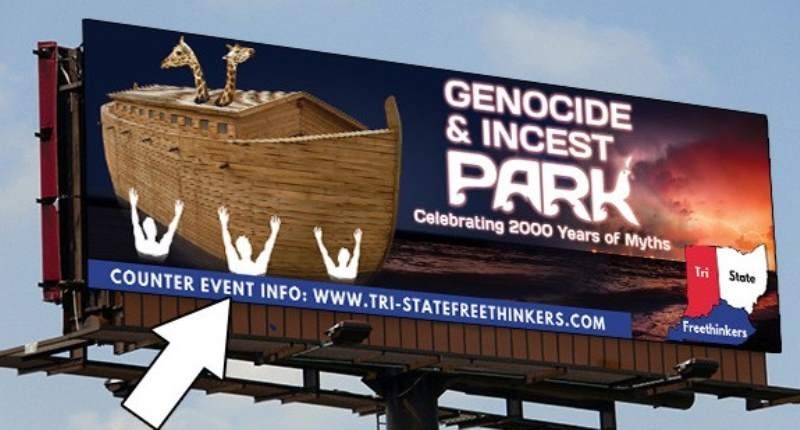 And just like Noah's ark, Ken Ham's ark won't convince skeptics God's Word is true. People do not reject the existence of God as a result of honest intellectual doubts. They reject the existence of God because they hate God and love their sin. It was true in Noah's day and it's still true today.